Pulmonary disease and critical care are an extremely important part of the Internal Medicine Medical Clerkship and ABIM Board exam. According to the ABIM exam blueprint, questions testing pulmonary disease topics comprises ~10% of the exam. That places it second only to cardiology’s 14% in terms of relative percentage. The next time you see an arterial blood gas (ABG) on a practice or actual exam question, don’t start searching for the “Panic” (or “Skip”) button. Determining diagnoses based on ABGs can seem daunting at first but by following a simple yet systematic approach, we can tackle these questions without difficulty. Click on the link to our previous “How to Handle ABGs on the ABIM Board Exam” and after reviewing the 5 easy steps, it won’t be long before you look forward to ABG questions on the exam. To distinguish between obstructive and restrictive lung disease, the first value to look at on the pulmonary function test (PFT) report is the Total Lung Capacity (TLC), which is defined as the volume of air contained in the lungs at the end of a maximal inspiration. Restrictive Lung Disease: TLC will be decreased. Restrictive Lung Disease is further sub-divided into intra-thoracic and extra-thoracic lung disease. 3. The Mnemonic “CHAD PARS” helps recall the major causes of bronchiectasis. 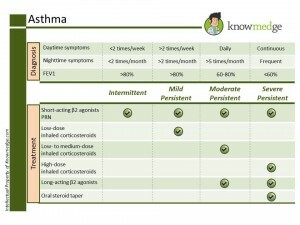 Frequency of asthma symptoms provides the necessary information for proper classification of this reversible obstructive lung disease (defined by greater than or equal to 12% increase in the FEV1 after use of an albuterol inhaler). 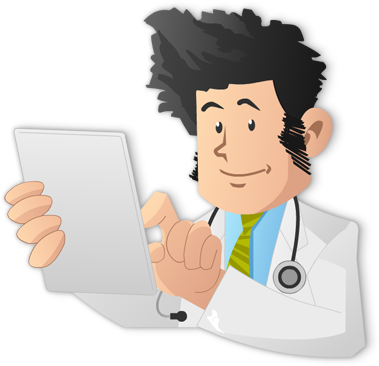 Only then can we determine the best treatment for the affected patient in an exam vignette. 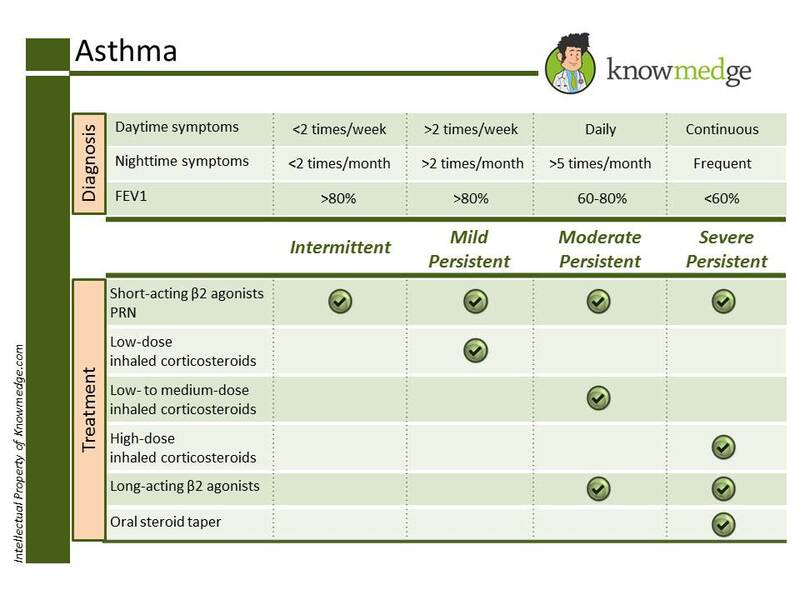 This slide (click on it for enlarged view) conveniently depicts the criteria for intermittent, mild persistent, moderate persistent, and severe persistent asthma, along with their recommended treatments. Unlike asthma, COPD is an irreversible condition. Administering the bronchodilator albuterol will not increase FEV1. FEV1/FVC ratio less than 70% is an indication that there is an airflow limitation and, thus, COPD. 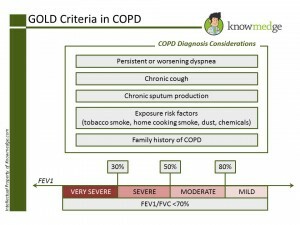 The spirometric criteria for a diagnosis of COPD is a post-bronchodilator FEV1/FVC ratio less than 70%. 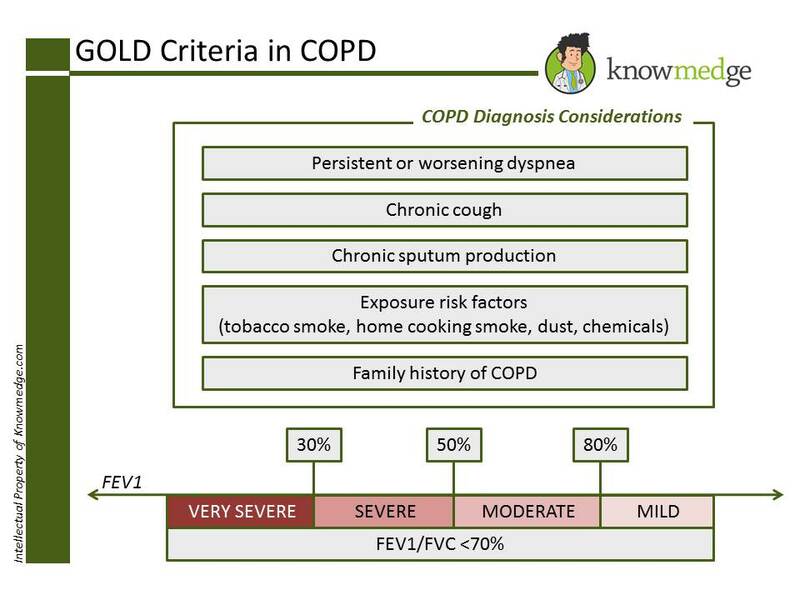 Stage IV (Very severe): FEV1 < 30% of predicted value (or FEV1 < 50% of predicted value plus chronic respiratory failure); Rx: As above for severe COPD plus Long-term oxygen therapy for at least 15 hours daily. Surgical intervention should be considered. The slide below (click for enlarged view) reveals the cut-off criteria for the different stages. 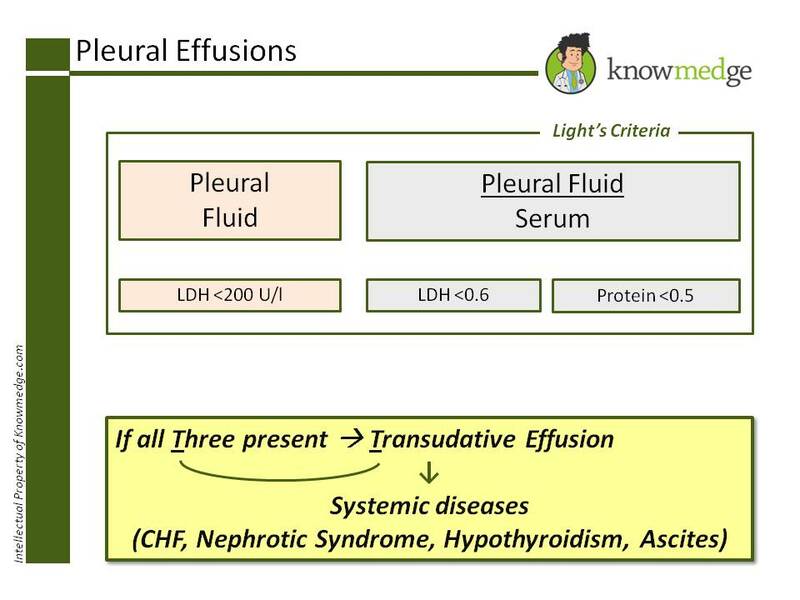 Broken down into Transudative and Exudative effusion. Remember that for Transudate, all of the following need to be met. 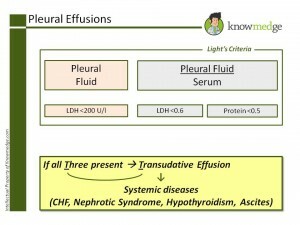 If all are not met, then the patient has an exudative effusion. 8. Bronchoalveolar lavage (BAL) findings can help narrow down, if not nail, the diagnosis. Once again, the folks who write the Internal Medicine licensing exams don’t expect you to have the depth of knowledge regarding lung conditions that a pulmonologist possesses. However, topics such as the ones mentioned in the slides and pearls above should assist you with the pulmonary section of the med school clerkship shelf and ABIM board exams.